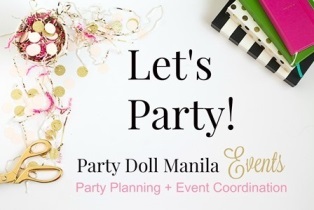 From all the gorgeous party inspiration and ideas being featured on Party Doll Manila, I can’t believe how far kiddie parties have become! Getting bigger, bolder and pushing limits to the extreme. The creativity and talents being shown through these parties are simply mind-blowing. As a Party Concierge, I enjoy reading all your emails. In the process, sharing some of my new-found party planning knowledge and helping others make their celebration more special has become one of my goals. I always believe that every milestone is worth celebrating and with this, I’m so happy to announce the new addition to Party Doll Manila. 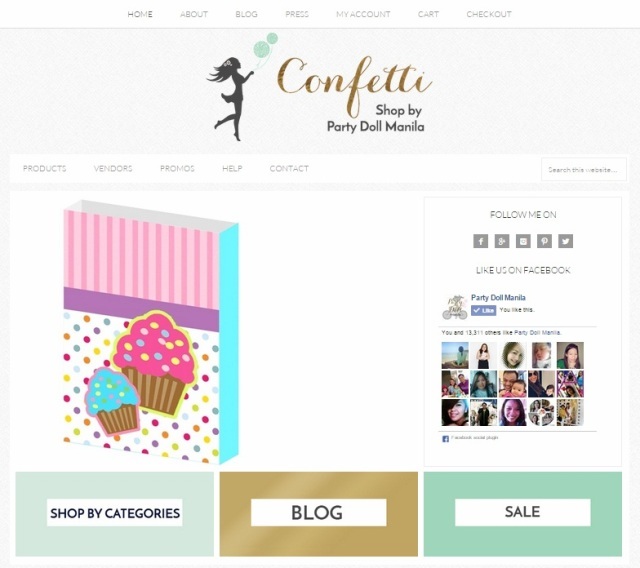 I am launching this incredible new baby of mine – Confetti Shop by Party Doll Manila! It’s a place where you can get tons of party essentials from A to Z. Slowly but surely, my carefully selected roster of reliable and amazing partner vendors and I, will be adding more items and products for you to choose from. Offering quality products and services, I hope I can be of great help in making your dream party come to life. From party decorations and partywares to personalized printables and favors, I hope you will be able to find something in the shop that can bring extra flair to your next party. Where can i buy decors for a shabby chic theme party? Hi! can I get your contact no. I am Maj from Creatif, organizer of SM Supermalls. We are interested in your frozen theme cocktails. Please contact me to 0977 6509844.